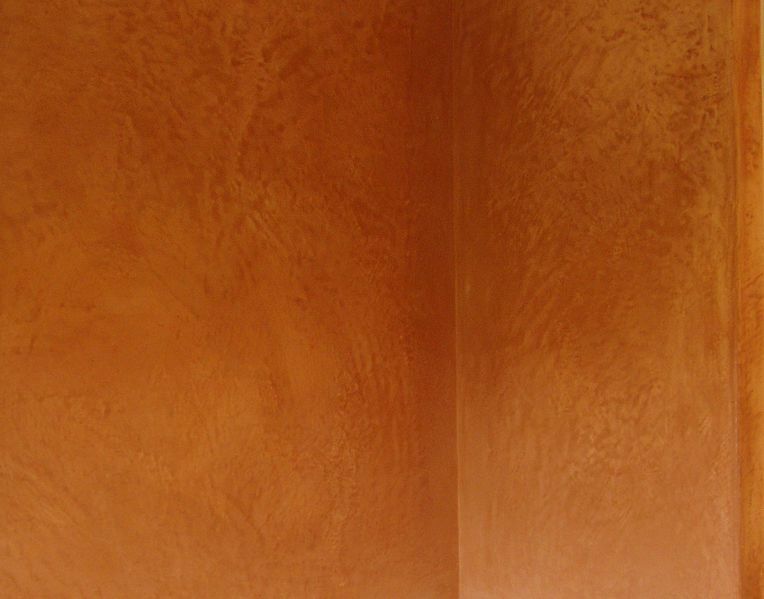 Tadelakt is a decorative render made using non hydraulic lime, used for centuries in Morocoo in hammams and washrooms. Also written tadlackt or tadelac, the word means " caress " in the Berber language. The render is applied as a single thick layer. After a long drying period, the lime becomes rock-hard when it comes into contact with the carbon dioxide in the air. Smoothed and then polished with a flat pebble, the surface is finally coated with black soap to close micro-cracks and make it perfectly watertight.